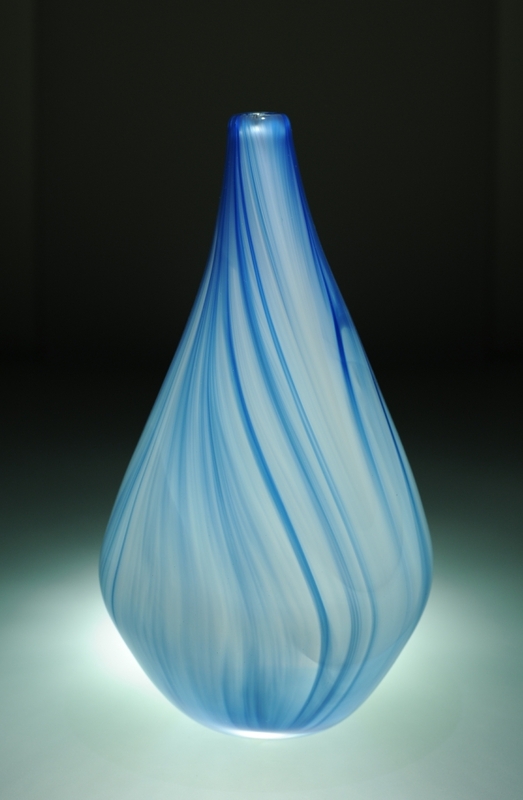 Architect by day, glassblower by night, Lynn-Margaret loves to blow glass. Currently experimenting with color compositions and studies in murrine and cane techniques. The vibrancy of color dancing with light is one of my favorite things to behold, and hot glass is the perfect medium for that dance. I have always been fascinated with glass. The shine, transparency, fluidity and colors have always captivated me. As a young girl, I saved my money to buy glass paperweights and then, a little older, I began collecting perfume bottles. I never dreamed that I would one day be able to craft my own. 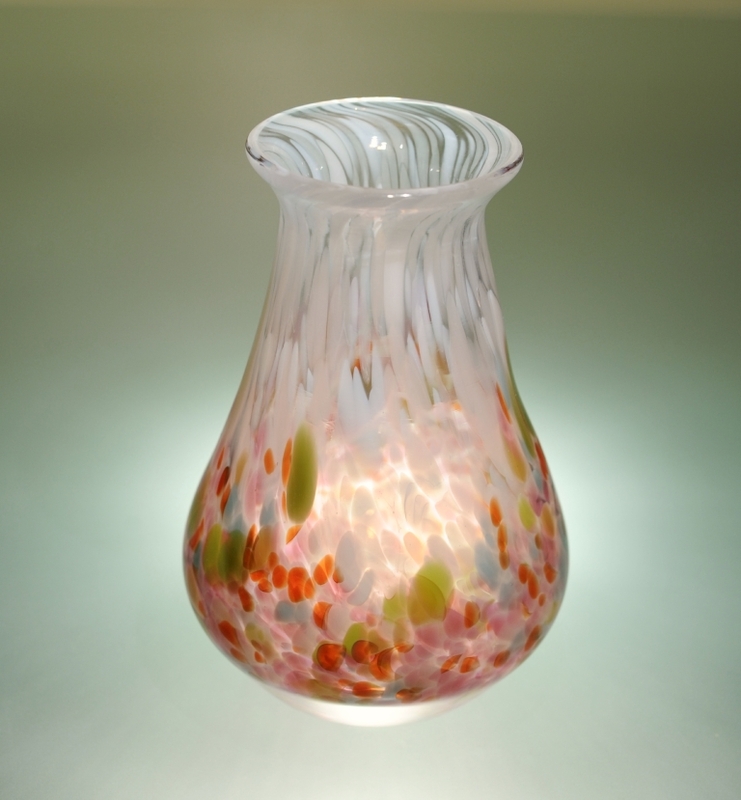 My introduction to glassblowing began in 2009 at a summer course at the Penland School of Craft. I have been smitten ever since. The course was titled “Never Too Late” and was instructed by a wonderful glass blower from Augusta, Missouri, Kaeko Maehata. Had she titled the course anything else, I may have been too intimidated to try it. But I did take the class, and passion was found. 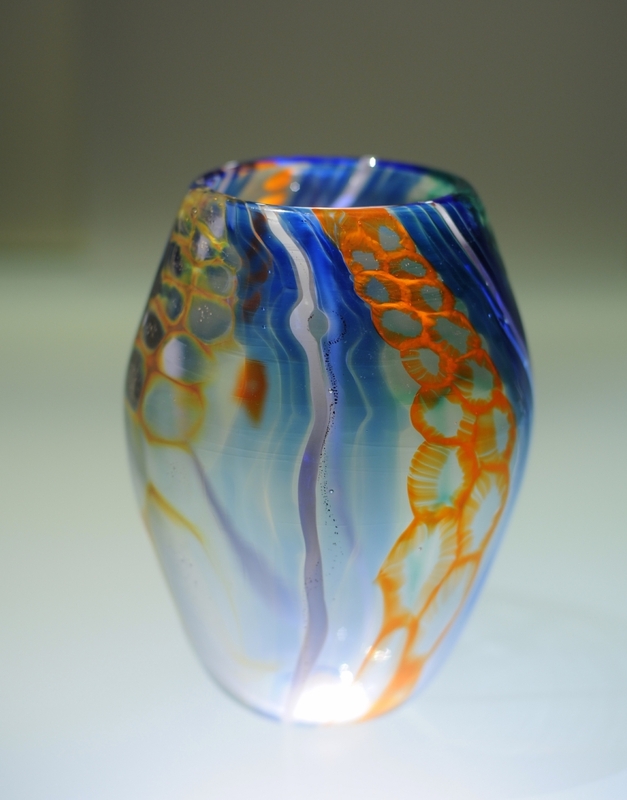 Glass blowing is physically and mentally demanding. It requires patience, practice, persistence and passion; just like any great love affair!